You may notice that your friend’s house sold in a month and you’ve been sitting on yours for close to a year. Maybe you expected to see a bidding war but instead you’re just watching mortgage rates increase alongside the days on market. If you’re tired of waiting, or maybe you are ready to list and want to avoid the dreaded wait, you need to hear these three secrets. As with most things, there’s never really a quick fix for anything. But rather, a calculated approach that can yield the result you’re looking for. You’re leaving this house so who cares if it’s a mess, right? Wrong. SO wrong. Your house may not be brand new, but if you want to sell it as quickly as a new home sells you better make it look as new as you possibly can. Don’t distract buyers with your dusty shelves and greasy stove. You also want to freshen up your décor if at all possible. If you can’t swing new stuff, you can either borrow from a trendy friend or simply hide all of the dated décor. No one, I repeat NO ONE wants to buy a dirty, dated home that is falling apart. Unless of course it’s a real estate investor who’s going to wipe the place clean, in which case you’ll likely get what they want to pay for it. You can think whatever you want about how much your home is worth but the fact of the matter is, your home is worth what someone will pay for it. So if you leave it a big old hot mess with chipping paint and peeling floors, then you’re going to have someone paying for the studs and the land because they’re going to need to turn your home into an HGTV before and after show. A mispriced home is one of the easiest mistakes you can make and one of the biggest reasons why a home will sit on the market. Some sellers want to price their home based on the amount they need in order to pay off the mortgage and have enough for a down payment for their new home. While that’s a nice idea, it’s not always possible. The best thing to do is to compare recent sale prices of homes like yours in your area. A real estate agent can do that by creating a comparative market analysis (CMA). The CMA is what you will need to set a price that will bring in buyers. Want someone to make sure your house is in the best shape and price your house to sell? The REAL secret to selling a hard-to-sell home is putting the right agent up for the job. A worthy real estate agent is going to have one objective: sell that house as quickly as possible. The best way to find your agent is to look for referrals, probe them about their experience, and review their marketing skills. The MD Home Team is a team of local real estate experts ready to reveal the secrets of how we can help you sell your home. From setting the price to creating marketing campaigns for traditional media and Internet, we have a proven plan that will match your home with the right buyers for the right price. We are committed to fast, professional and courteous personal service to help you understand and feel at ease throughout the home selling process. Our trained and certified agents specialize in the Greater Baltimore real estate market and are prepared to sell your home to the right buyer for the best price. 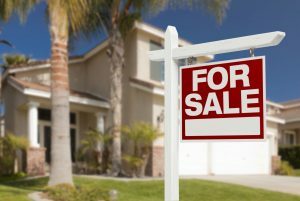 This is a good article to be read by those who are starting to lose hope or even giving up in selling their homes. Maybe one or more of this things are one of the factors you might be encountering unconsciously.